The company: VizExplorer is a software company that makes 'super graphics', with software makes life easier, more productive and profitable for virtually any business. VizExplorer is led by a team of renowned business intelligence experts and world-class software developers devoted to building the very best products. The solution: Bodyworkz set up a trial date for the next week, with a therapist going into the office to give 15-minute on-site massages to each of the staff. 10 people were interested, and the trial was successful. After that, we set up a fortnightly session to commence after the trial. Soon, however, the staff decided to change their massages to a weekly session instead, when the company decided to subsidize each session 50 / 50, for the staff. The result: Following up with the client, the feedback was positive. “Our staff are thriving with the ongoing support of massage therapy. We are noticing incredible benefits such as less sick days, less overall stress and a more positive working environment. Our staff are happier and really look forward to Wednesdays when we have our therapist in the office." Want to achieve similar results for your office? Contact Bodyworkz for a free quote today, and we can help you get results. 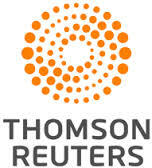 The company: Thomson Reuters business has been publishing and updating information on New Zealand law since 1910. They are a leading provider of information and solutions to the legal, tax, accounting and business markets in New Zealand. Our reply: We have staff working in both Auckland and Wellington, and would be happy to meet with you next week. Alternatively, if time is an issue, we could do a video Skype call as well if that suits better. We set up the trial for two sessions in the Auckland office, and then let the company evaluate before deciding on what we would like to do long term. The result: Thomson Reuter choose Bodyworkz as their ongoing provider of on-site chair massage for their staff on a fortnightly basis. Since Bodyworkz has a large Auckland team of therapists, we always make sure that their appointment day is covered should a therapist be sick or unable to attend, the client will not miss out. The team at Thomson Reuter is still enjoying their regular fortnightly on-site massage sessions.